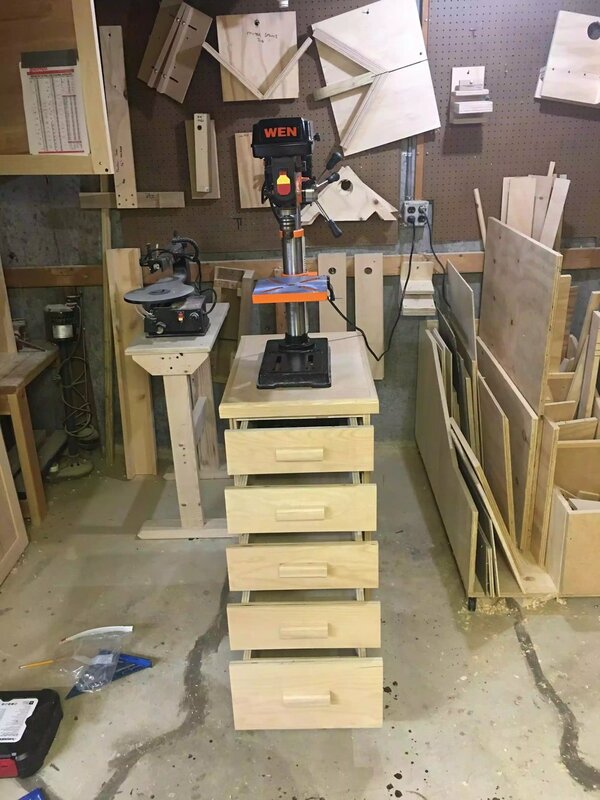 After a week of fleeting moments in the shop I have finally finished the drill press cart and I have to say that it looks awesome and even more importantly that that it makes more room and floor space available in that ugly corner of my shop. 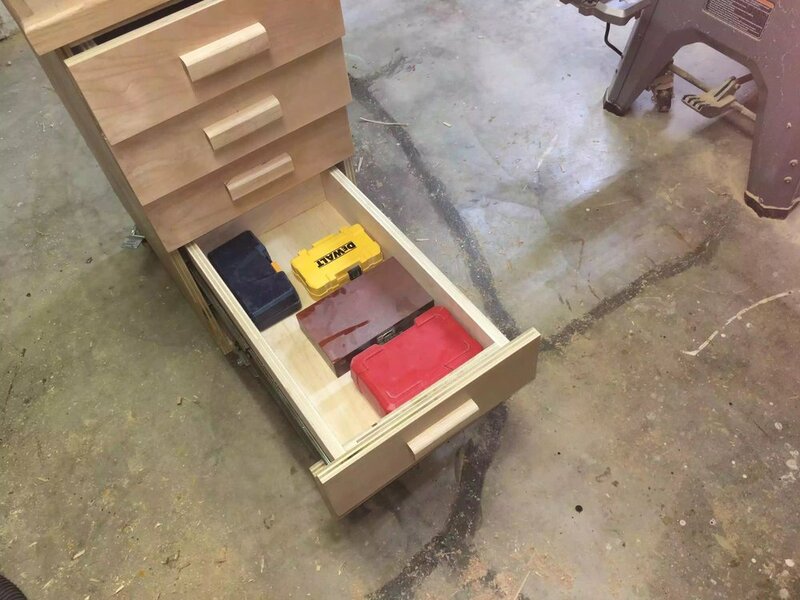 I purchased some ash hardwood to use for the table top edge banding and I also used the leftovers to make my own drawer pulls that I am very happy about. Since this was a shop project I didn't use any fancy joinery for the case I simply used pocket holes and 1-1/4" pocket hole screws to join the case parts together along with glue. 34" x 22" x 16"
The whole cart is portable which in my opinion is a must in any wood-shop. 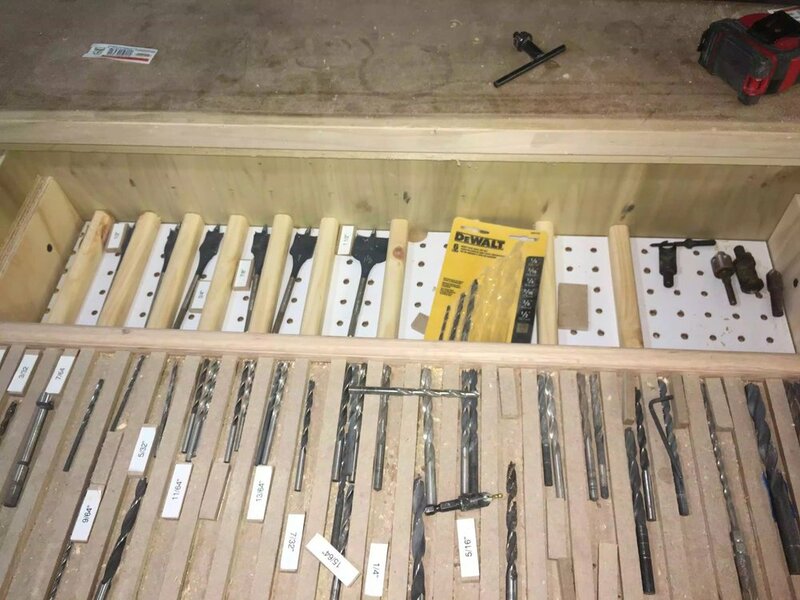 I made my own drawer pulls out of ash which was a very fun project. If you would like to make this cart, I am selling plans in my shop for a small fee. I really love how the cart looks, I think I have found what style I am looking for in the shop, every project that I make for the shop now will be made from birch. I saved a small fortune on the pulls as I made them myself, check out my blog on how I made them, I will leave a link at the bottom of the post. 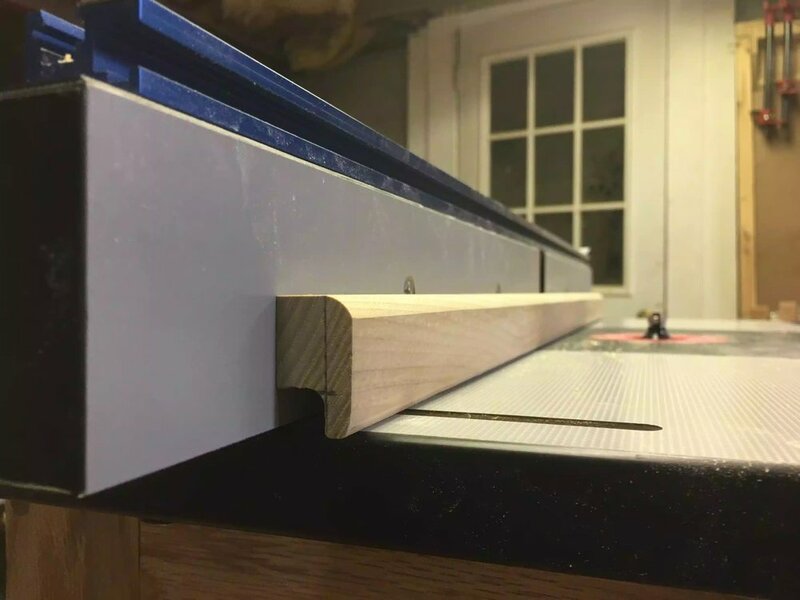 This worked for a little while but to be honest it was too far away from the drill press so this project was a big time and convenience saver. Made with plywood and solid walnut trim. 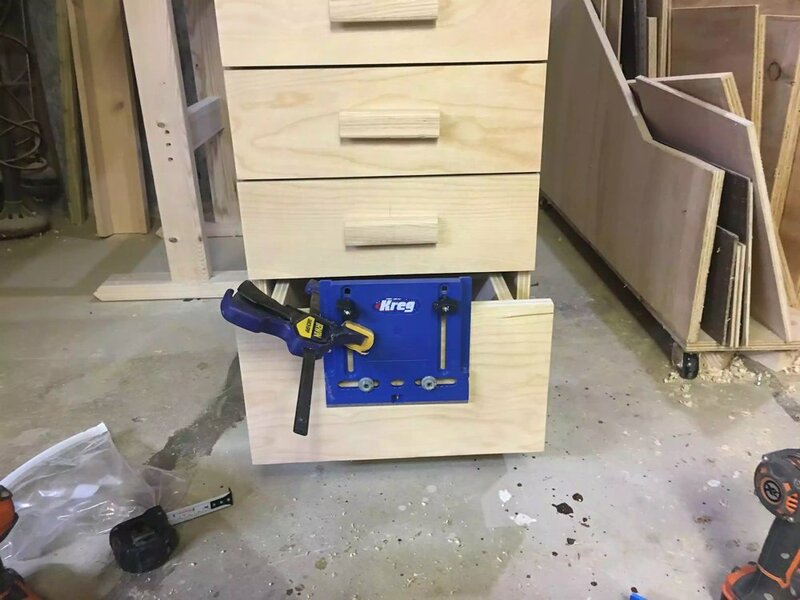 The fence works great and I like the stop that I can interchange with all my Kreg fences, I currently share this stop with my miter saw station. Its powerful enough for what I need but I eventually need a big floor model. I used the Kreg mini track so as that I can slide and position my fence. 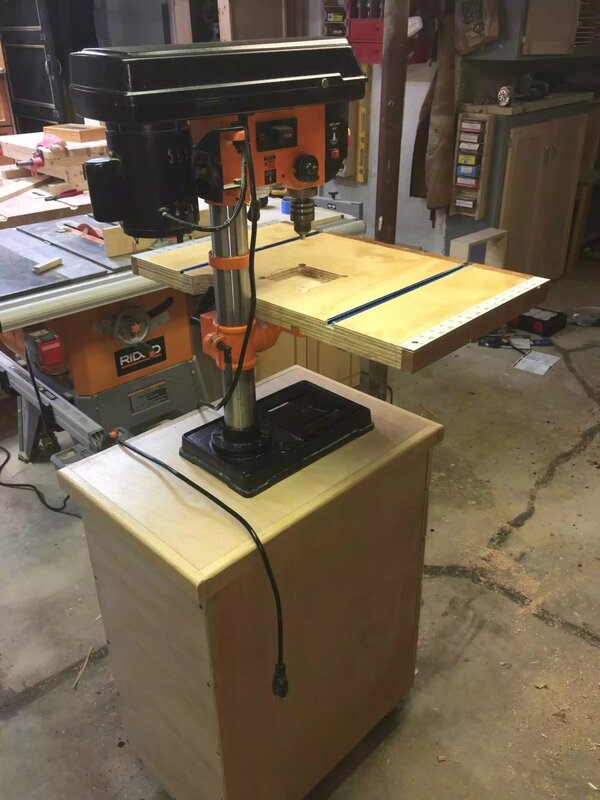 My old drill press from Harbor Press crapped out so I sold it for parts… I saw a Wen 10” benchtop drill press so I got it and I’m glad I did but the old table will not fit it now. 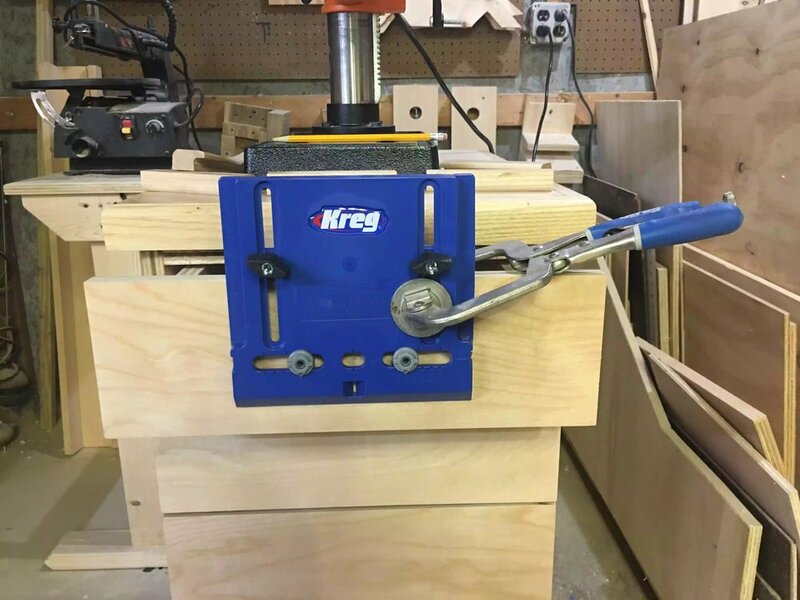 After cutting the panels to size I cut 3/4” dado 5” away from each side and 3/8” deep to receive the Kreg mini track then I cut a 4”x4” square out of the top piece so I could have a sacrificial plate so that when I destry it when drill it can be replaced. I placed the glued up panel on the metal drill press table to get some key measurement , mainly to identift where I need to cut out mini track dado so as that I can secure the drill press table. The Fence construction is very easy its just pieces of 2.5” high x 24” long and I used glue and pocket hole screws to join it together then drilled 2 1/4” holes to establish where the fence will receive t track bolts so as that I can slide the fence from the front to the back of the table. All that was left was to put 1×2 cherry in which I mitered the corner at 45 degrees..
To be honest this project could be used for any number of things, I designed it for the drill press so as to raise it to a comfortable height. 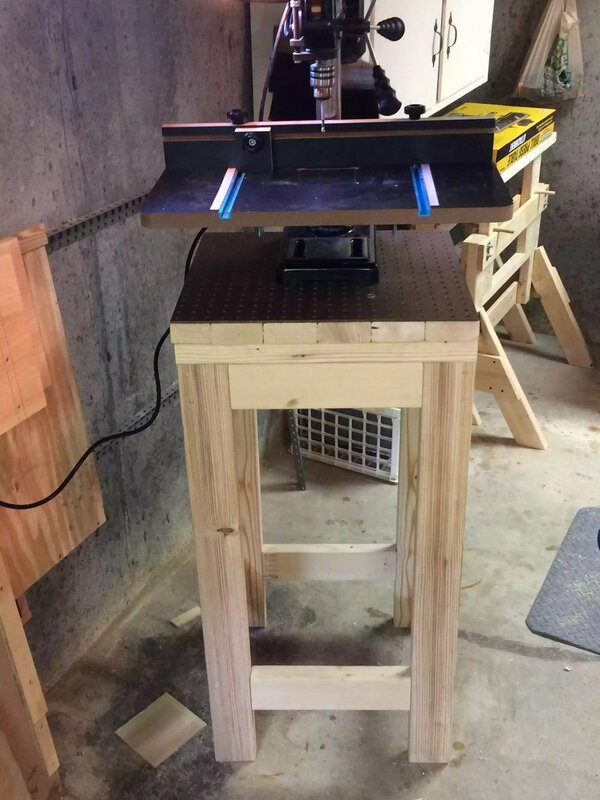 Although I am describing this as a Drill Press stand, you could alter its use and use it for whatever you wanted. So I recently purchased a new drill press table and now it won’t fit under my bench so I decided to build a stand for it out of some scrap I had and I also used some repurposed 2×4’s. The entire project was built from 2×4’s and some leftover pegboard. The dimensions are 40” high x 22” wide and 18” deep. 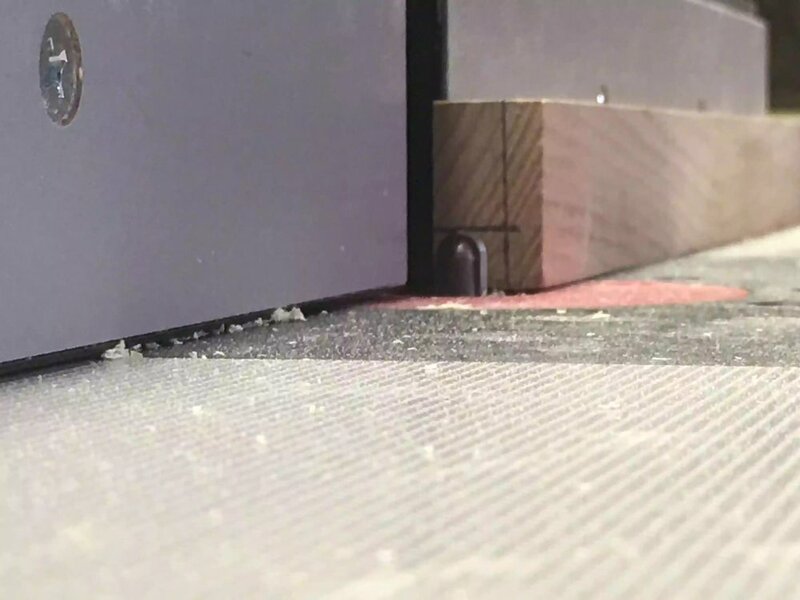 It’s all held together by pocket holes and screws that are hidden by wood plugs. It came out great and I’m looking forward to saving my back by not lifting it anymore. This project is extremely easy so there is no detailed instructions, basically examine the project pictures and you can see how its all done. 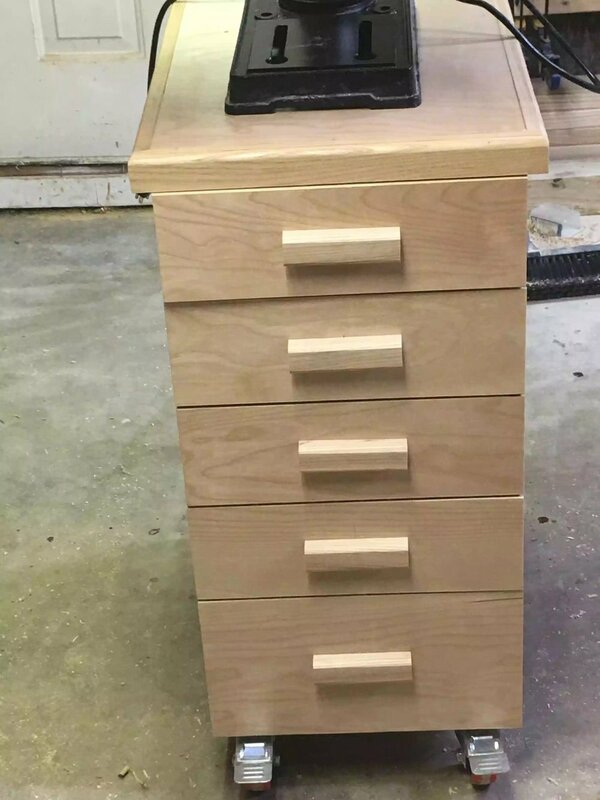 No fancy joinery just screws, I don't thing I even used glue.